5 rooms (w / 20 people) with air conditioning at disposal and two bathrooms (shower with heated water). Internet Wi-Fi, Living room with TV (Sky) and kitchen (Stove, refrigerator, microwave and water cooler). Recreation area in the back with barbecue, lounge and shower. Nearby Panificadora Porto Pão to 20 meters, Supermarket (Layer, Arcomix to 25 meters), restaurant Noronha Pescado to 60 meters and pharmacy to 25 meters. To the beach, 10 min walk (spot of the beach, natural pools which consecrated Porto de Galinhas as the best beach). 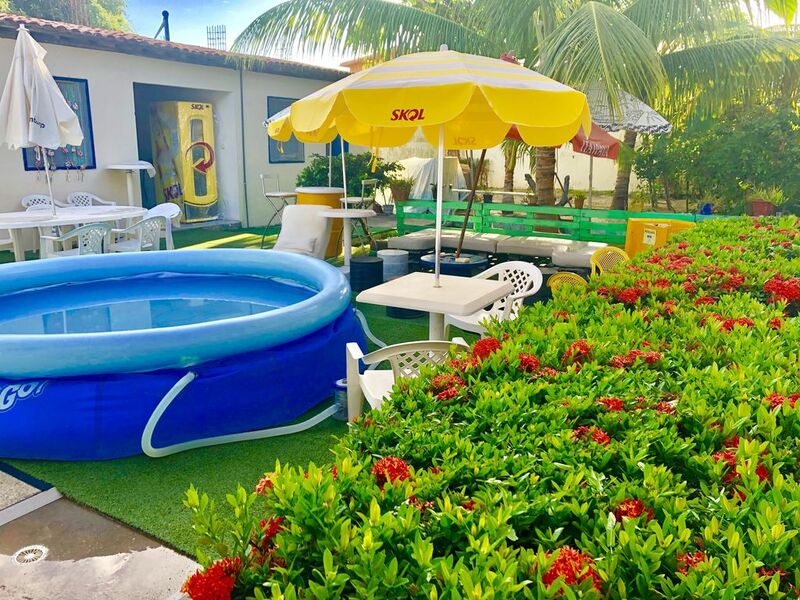 No need to drive to get to the center of the village of Porto de Galinhas, only 5 min walk! For the kids, worth a visit to the Hipocampus project (20 meters) to meet the seahorses! Anderson, agradeço a preferência e registro que será, sempre, um prazer receber você é sua família em nossa casa. I recommend buggy ride to get to know nearby.